Later he served as a scout for Third Calvary of the U.S. Army during the Plains Wars. He received the Congressional Medal of Honor in 1872 for "gallantry in action" at Loupe Forke, Platte River, Nebraska. Unfortunately, the government rescinded his medal one month later because he was working as a civilian for the time period when he earned it. It was returned one hundred and seventeen years later on January 12, 1989. Along with this medal at the museum, you can also view his Indian War Medal. His reputation grew in the newspapers and through dime novels written by such authors as Ned Buntline. His show business career began December 17, 1872 in Chicago. He appeared in a drama “Scouts of the Prairie” created by Buntline. It starred another scout, Texas Jack Omohundro. 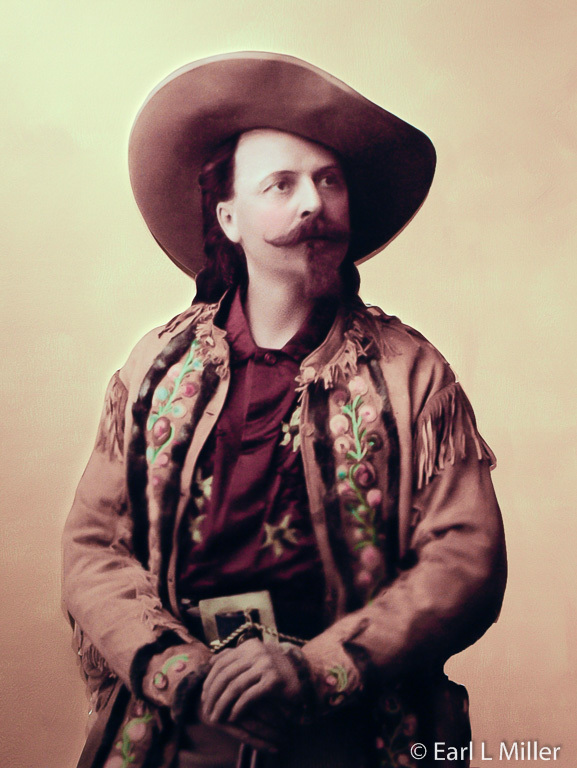 The following season, Cody organized his own troupe, the Buffalo Bill Combination. Wild Bill Hickok replaced Buntline. Hickok and Texas Jack left the show but Cody continued staging a variety of plays until 1882 when he conceived his show, the Wild West. Cody was also an author. He wrote his first dime novel in 1875 and his autobiography in 1879. His show blanketed the United States and Canada for 35 years starting in 1883. In 1887, het was invited, with a cast of 200, to be the main American contribution to Queen Victoria’s Golden Jubilee celebration. The Wild West rose to international fame and returned to Europe two years later to tour the continent. In all, the show toured Europe eight times, first between 1887 and 1892, then from 1902 to 1906. In 1893, the United States government threatened to return the Native Americans in the show to their reservations. That is when Cody hired the original Rough Riders, South American gauchos, Cossacks, Arabs, and English lancers to be part of the cast. 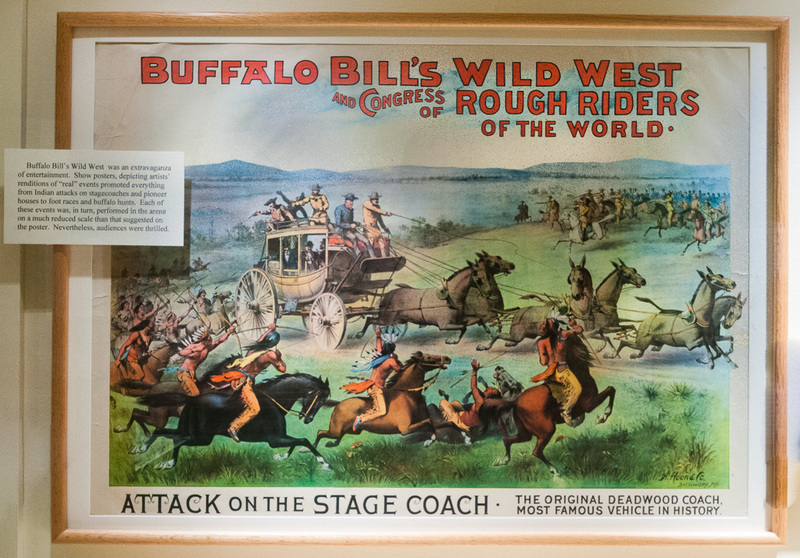 He changed the title to "Buffalo Bill's Wild West and Congress of Rough Riders of the World.” The threat was never carried out. Cody had financial difficulties. In 1913, he borrowed $20,000, to pay startup costs, from the editor of the Denver Post newspaper, Harry Tammen. When Cody failed to repay the loan, Tammen had the show seized and its assets sold at auction. He forced Cody to join Tammen’s Sells Floto Circus. 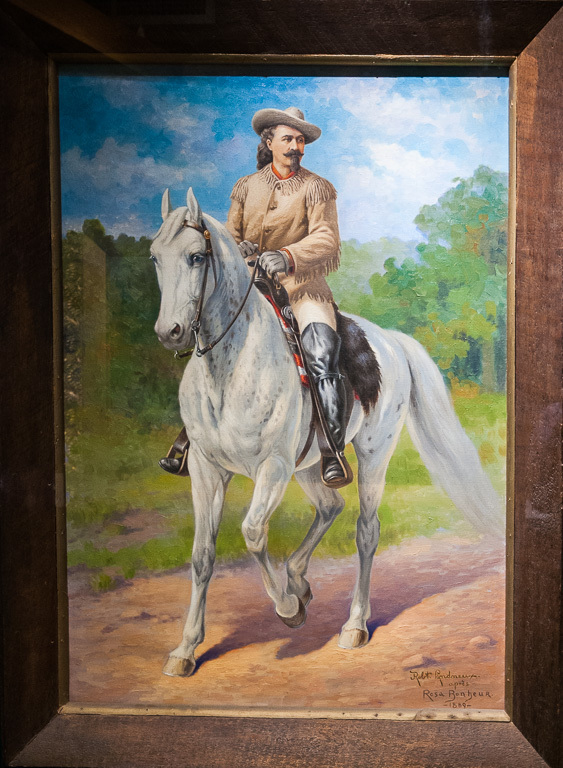 Buffalo Bill followed a female impersonator and preceded a trained animal act. Cody was with the circus 1914-1915. He died in 1917 of kidney failure at his sister’s home in Denver. His wife and his daughter Irma, the only one of his four children to outlive him, attended his funeral. 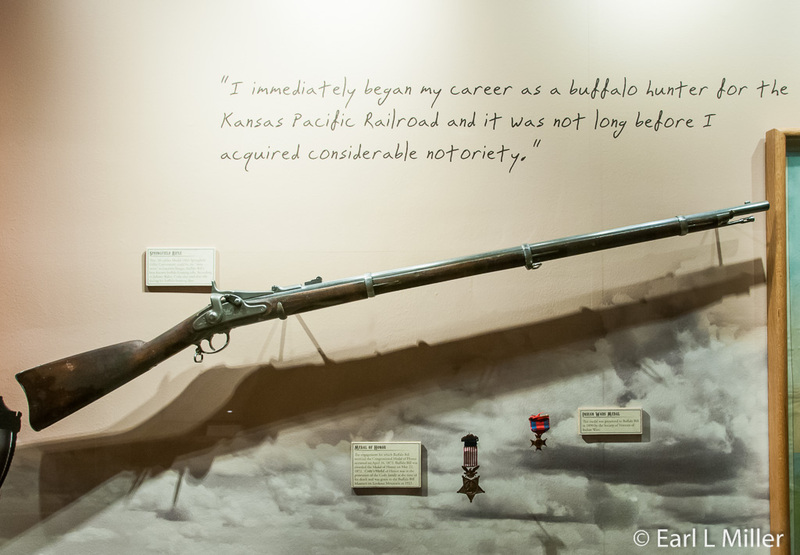 Run by the Denver Parks Department, The Buffalo Bill Museum and Grave atop Lookout Mountain memorializes the life and Wild West show of Buffalo Bill Cody. In this 3,000 square foot museum, 80 percent of the space is dedicated to permanent exhibits. 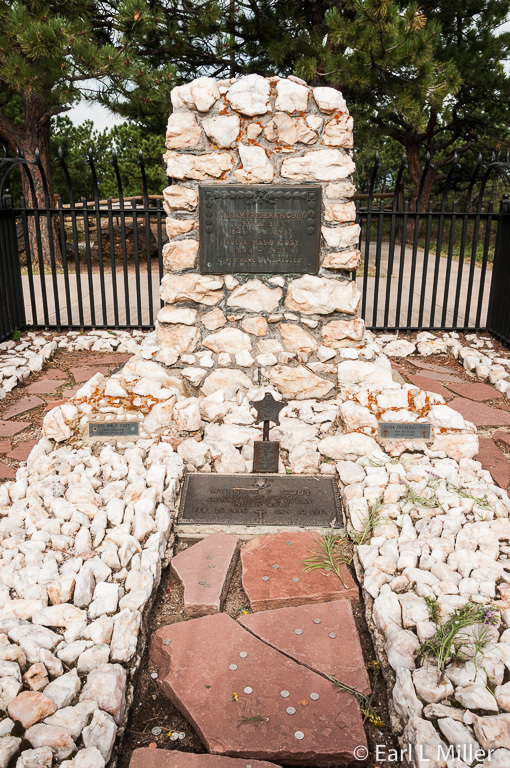 Before you enter the museum, hike up the hill to see the graves of Cody and his wife, Louisa. 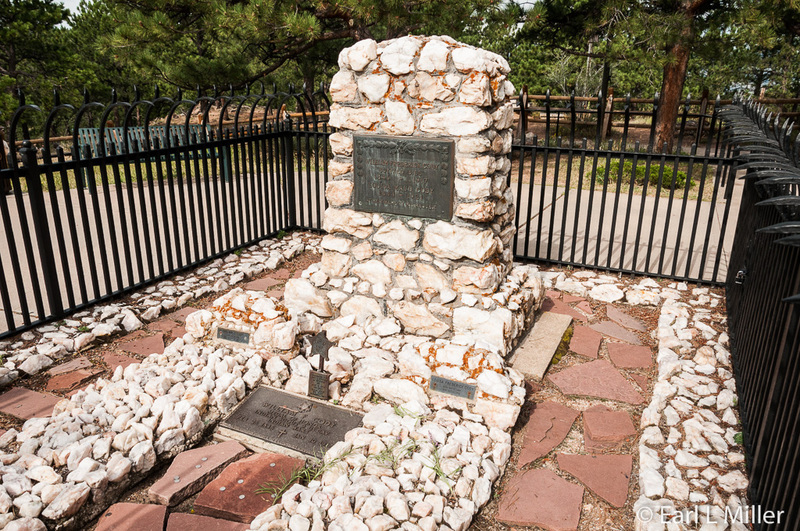 You’ll see cement over the top of their graves protecting his remains from moving by zealous Cody, Wyoming citizens who also claimed him. Wild Bill had been the founder of Cody in the 1890's. In 1923, people started placing buffalo nickels on his grave. It’s a tradition that continues today. The museum was started by his honorary foster son, Johnny Baker, who had actively participated in the show. Baker had collected numerous items over the years and had gathered them from his many friends who had performed with him in the Wild West. Mrs. Cody also provided objects although she died shortly before the museum opened in 1921. 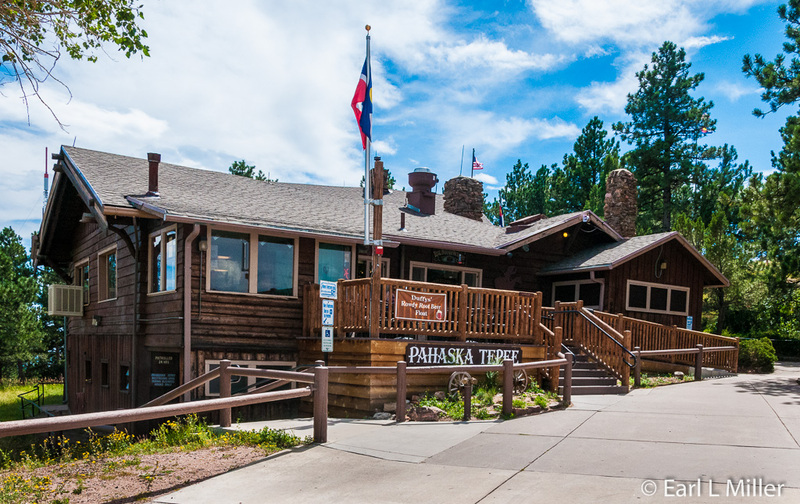 They called the building “Pahaska Tepee.” It is now the museum’s gift shop and café. Start your museum visit with a 20-minute film on the life and death of Cody and the museum’s origins. You’ll probably want to spend around an hour checking out the exhibits. You’ll see everything from posters of the show to the Stetson hat worn by Cody at his final performance. You’ll see the head of the last Buffalo he shot and hear a recording of his voice introducing the Wild West. The vast majority of the displays are artifacts and photographs comprising a virtual timeline of his life. One exhibit has two displays on firearms. 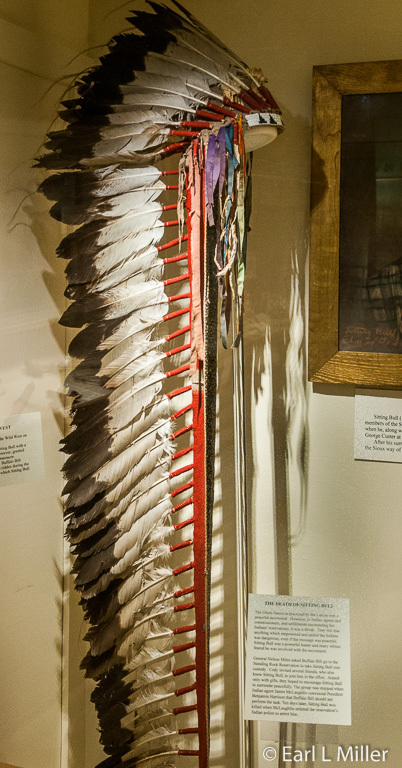 In one section, you’ll see rifles related to Cody and the Wild West; the other contains those found on Native American battlefields. I particularly enjoyed seeing a sample of the glass ball the sharpshooters shot at during the show. At the Kid’s Cowboy Corral, youngsters can design a brand, dress as a cowboy, sit in a saddle, or try to lasso a calf. Another area is dedicated to the Wild West and its performers. One room houses a temporary exhibit on a variety of paintings with Cody as subject matter. Another is dedicated to Native Americans who appeared in Wild West. In the Sitting Bull case, notice his peace pipe, elk tooth dress, moccasins, and bow and arrows. His headdress is also on display. 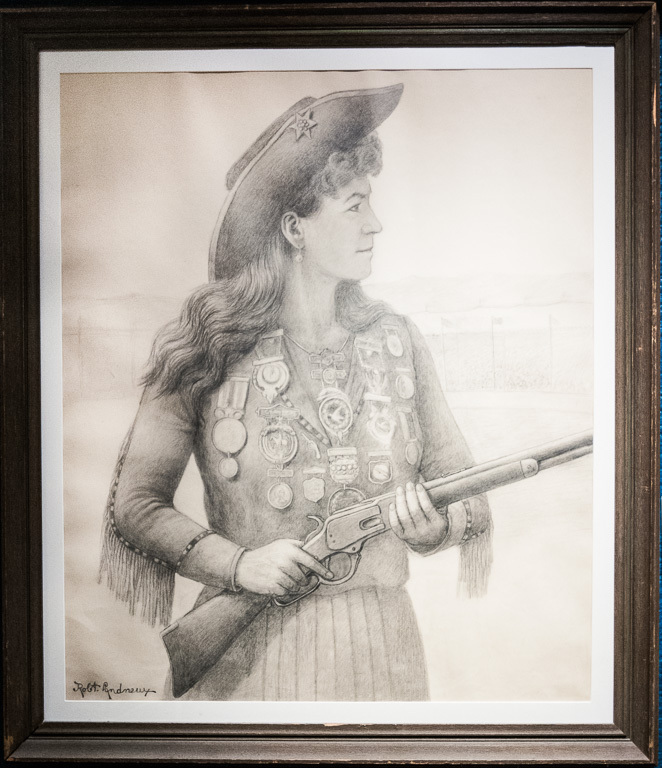 He and Annie Oakley toured with the show in 1885. Hours for the museum are May 1-October 31 daily 9 a.m. to 5 p.m.; the rest of the year, it’s 9 a..m. to 4 p.m. Admission is $5 for adults, $4 for seniors, $1 ages six to fifteen; free for age five and under. It’s located at 987-1/2 Lookout Mountain Road. The phone number is (303) 278-3557. 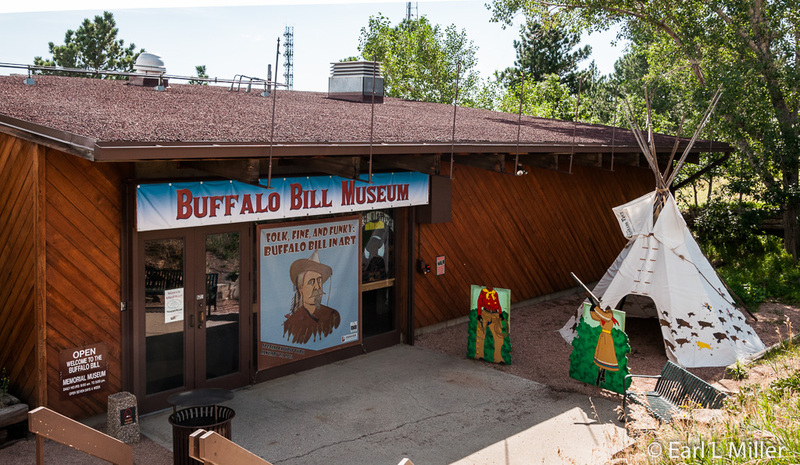 Since Buffalo Bill Museum and grave is part of the Denver Parks system, there are other aspects to enjoy. The Museum offers several picnic areas which are available year round. 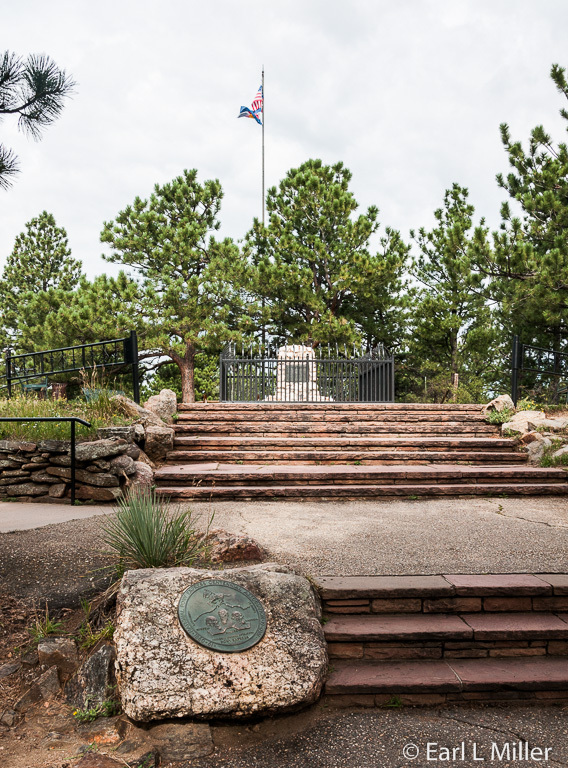 While grilling isn’t allowed on the museum’s grounds, there are tables with grills at Lookout Mountain Park, located at the base of the museum’s entrance. Interested in hiking? 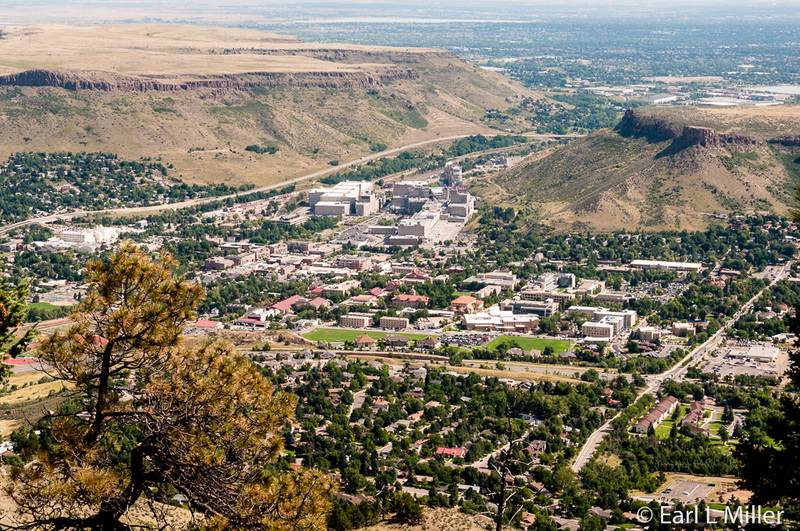 A one-mile mountain trail connects the Buffalo Bill Museum to the Lookout Mountain Nature Center. You’ll find maps of other regional trails at this Center. We found the prices high for food at the Pahaska Tepee Café located in the museum’s gift shop. They do offer buffalo burgers, buffalo chilli, and fudge. 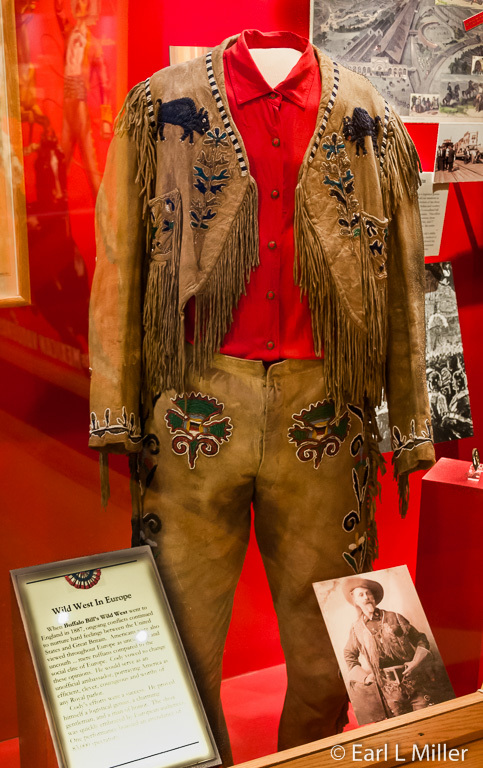 Take time while you’re there to check out the books, DVDs, posters, and souvenir items such as Buffalo Bill glasses. It’s a large shop and you’ll find lots to see. Take time to admire the view from the overlook on the patio. You’ll find two signboards. One explains the geology while the other points out what you see such as Dakota Hogback, Golden, and the North and South Table Mountains. When the Wild West appeared at Queen Victoria’s celebration, it was the first time in history for a British monarch to acknowledge the American flag.